Intellectual Property Rights & Patent Auctions in Bryan, OH | Wilson Auction & Realty Co, Ltd. 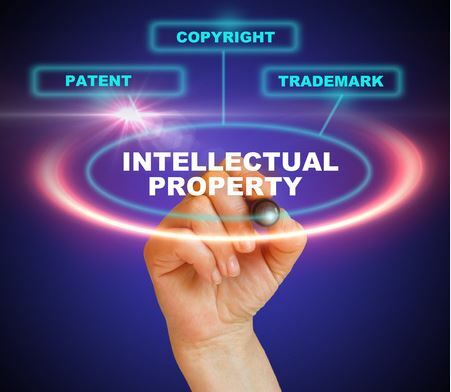 Many companies are in possession of potentially valuable intellectual property rights. From simple patents to more advanced trademark concepts, Wilson Auction & Realty Co. can help these companies unload their intellectual property rights. We can also assist those interested in purchasing intellectual property rights at auction. We use our more than 150 combined years of experience to make buying and selling during intellectual property auctions easier on those in Ohio, Michigan, and Indiana as well as other parts of the country. You might not think that the intellectual property rights that you’re holding onto right now are worth much. But Wilson Auction & Realty Co. can show you otherwise. We can help you sell your patents, trade secrets, trademarks, or copyrights online to the top bidder. We’ll identify the market for your intellectual property rights and auction them off to get you the best possible offers from those across the globe. In addition to helping those interested in selling intellectual property rights, Wilson Auction & Realty Co. can also assist those looking to buy patents, trademarks, trade secrets, and copyrights. We can get you a great deal on intellectual property rights by connecting you with motivated buyers who want to get rid of them today. We’ll show you how to place bids and help close deals quickly if you’re the highest bidder in the end. Reach out to Wilson Auction & Realty Co. toll-free at 866-870-5500 or locally at 419-636-5500 if you want to find out more about planning an intellectual property auction through us.